It is the new book concept that takes inspiration from simplicity as a form of true greatness. A book capable of including up to 350 large format pages, printed with digital technologies on different typologies of fine art papers. These features allow to catch emotions never felt before in a wedding book, thanks to hundreds of pictures telling the story of that day, letting you relive every moment. A stream of emotions, a cinematographic story telling a tale through a sequence of faces, looks and precious moments. Nothing will be lost, and you will be able to relive that day endless times, and from endless different perspectives too. After all, today photographers shoot huge amounts of pictures, so why having to accept forced choices and selections when you can have them all? This is the strength of the Primo Book, a book giving room to all the memories you want! The 30×40 and 25×35 formats – available as vertical, landscape or square – house the images by taking advantage of the whole dimension of the page, perfectly showing layouts that enhance the atmosphere created by the photographs. These typologies of formats are ideal to highlight edgeless images, by using the whole space available to obtain a cinematographic effect. 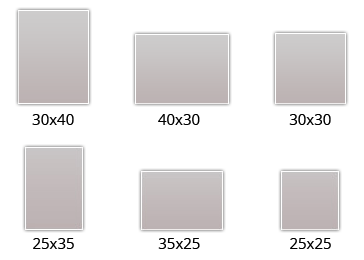 Smaller formats, such as the 20×30, 30×20 and 20×20 are available as parent books. The accurate preparation and attention to detail is what distinguishes a quality product. Among these details, one of the most important is the lining: its colour guarantees the harmony between the outside and inside of the book, and its texture creates a balanced link between the precious cover material and the finished pages. Apart from these aesthetical reasons, the linings play an important role in the mechanical connection between the cover and the block of the book. For this reason only the best cloths are used to fulfil this essential function. The colour palette is extremely wide, as is the refined choice of the spun cloths available. Leafing through a Primo Book instils an idea of infinity. 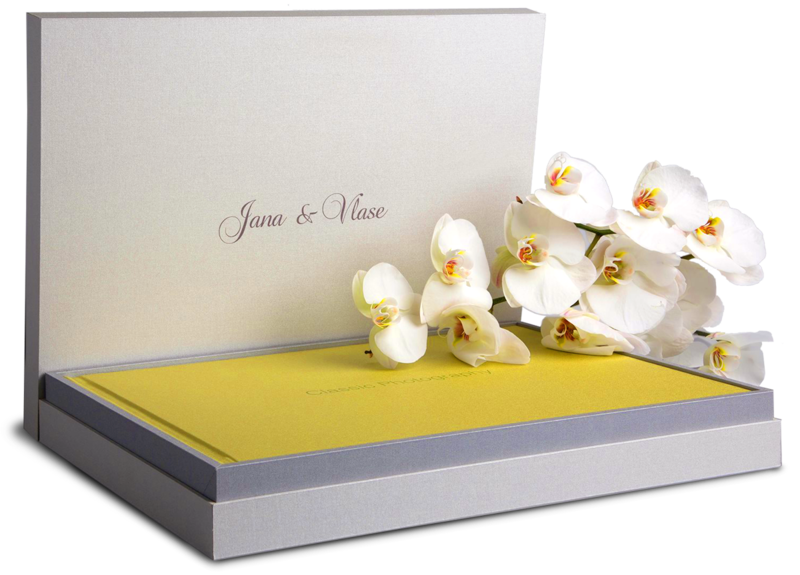 The perfect binding, a classic used for the first time by Graphistudio in a primary wedding book, doesn’t necessitate any additional inserts and allows to contain from a minimum of 100 to a maximum of 350 pages. Thanks to the new book structure, the page maintains a soft and fluid movement, highlighting the book concept. A seamed binding, the most resistant option currently usable for digital books, is also available. 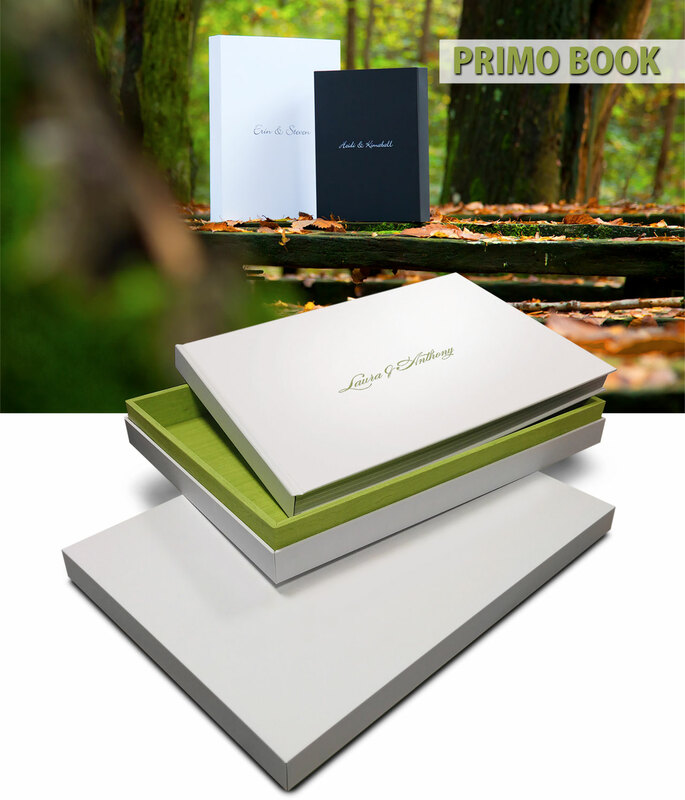 The price of the Primo Book includes one of the following cover options: Photographic Paper, Maple, Soft Touch white or black, Linen, Leatherette, Cloud leatherette, Class leatherette in a wide choice of colours. It is also possible to order our full range of covers upon request. 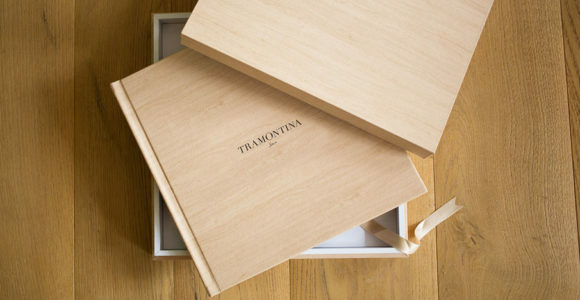 A brand new box is available as an addition to the book: shaped by elegant lines it encapsulates a surprising design. The opening mechanism of the top represents a new way of containing a book while preserving the minimalistic artistic expression in perfect harmony with what it contains. The Design Box is outstanding thanks to its unexpected lightness, specifically developed to support the book without adding weight to the larger sizes. The structure of the Design Box coordinates with different materials in various combinations, creating highly emotional chromatic and sensorial harmonies. The personalization The customization is obtained through colour overprinting. The possibility of defining the colour of the texts and textures allows to harmonize the chromatic balance created for each Primo Book. 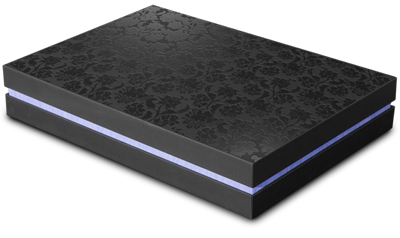 Raised varnishing is available too, an additional finishing that enriches the cover and the box creating, in some cases, a delicate contrast of gloss and matte. Colour overprinting with raised finishing. Made of sateen, embellishes the book playing a leading role in the chromatic composition. It is available in a wide range of colours to allow always the best result on the colour combinations. It is an extremely important tool for the couple to share their moments with their loved ones. With the Primo Book, the parent books take a new shape: they change their format and become identical copies of the primary book in the 20×30, 30×20 and 20×20 size. NOBILITAZIONE Sia la scatola che la copertina possono essere nobilitate attraverso la sovrastampa a colori e la vernice selettiva in rilievo. Greche, trame e testi possono essere impressi fondendosi con le tante tonalità disponibili nei materiali.